SPOKANE, Washington, March 31, 2011 (ENS) – Nuclear radiation from the damaged Fukushima Daiichi nuclear power plant in Japan has been detected in milk in Spokane, the U.S. Environmental Protection Agency and the U.S. Food and Drug Administration have announced. Results from a screening sample taken March 25 from Spokane detected 0.8 picocuries per liter (pCi/L) of iodine-131, which is more than 5,000 times lower than the derived intervention level set by the U.S. Food and Drug Administration. 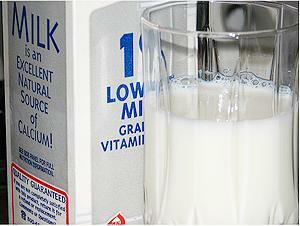 It would take a measurement of 4,600 picocuries per liter for milk to be considered unsafe. The tests were taken from milk samples collected by the Washington State Department of Agriculture, which pulled one gallon from a Darigold distribution center in Spokane County. “Radiation is all around us in our daily lives, and these findings are a minuscule amount compared to what people experience every day. For example, a person would be exposed to low levels of radiation on a round trip cross country flight, watching television, and even from construction materials,” said Patricia Hansen, an FDA senior scientist. These types of findings are to be expected in the coming days and are far below levels of public health concern, including for infants and children, said Hansen. Iodine-131 has a very short half-life of eight days, and the level detected in milk and milk products is expected to drop relatively quickly. The EPA recommends that state and local governments continue to coordinate closely with EPA, FDA and the Centers for Disease Control. EPA will continue to communicate sampling results as they come in. Washington state health officials say Spokane residents are exposed to more radiation in their homes each day than from drinking milk. Spokane County health officer Dr. Joel McCullough said the Spokane area has higher naturally occurring radiation levels than other parts of the state, due to elevated radon levels in the soil. In response to the nuclear accident in Japan, U.S. government agencies have increased the level of nationwide monitoring of milk, precipitation, drinking water, and other potential exposure routes. The EPA conducts radiological monitoring of milk under its RADNET program, while the U.S. Food and Drug Administration has jurisdiction over the safety, labeling and identity of milk and milk products in interstate commerce. States have jurisdiction over those facilities located within their territory.